The traditional semi-displacement hull on the Ellis 36 ensures a safe and pleasurable boat that handles well in any seas. While the Ellis 36 performs well at any speed, she will maintain a cruising speed of 20 knots and has a top-end of 25 to 30 knots. Don Ellis designed the Ellis 36 with a bit of flare at the bow and a fairly flat run aft for a dry boat with minimal bow rise. He also designed her with a 13′ 2″ beam, which allows for many spacious interior configurations. Accommodations include a full galley, head & separate shower, full walk-around berth, fold-away dining tables for 8 people, and more. 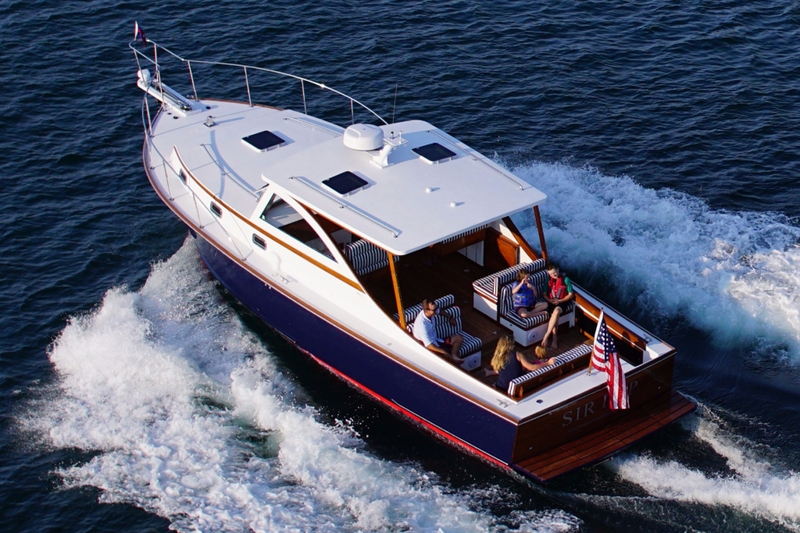 Ellis Boat Company can build an Ellis 36 they way you want it to be built – no dealers, no brokers, only you and the builder from start to finish. Choose from one of our SIX Ellis 36 Models.